Once again Dr. Wong is set to embark on his annual trip to Europe. 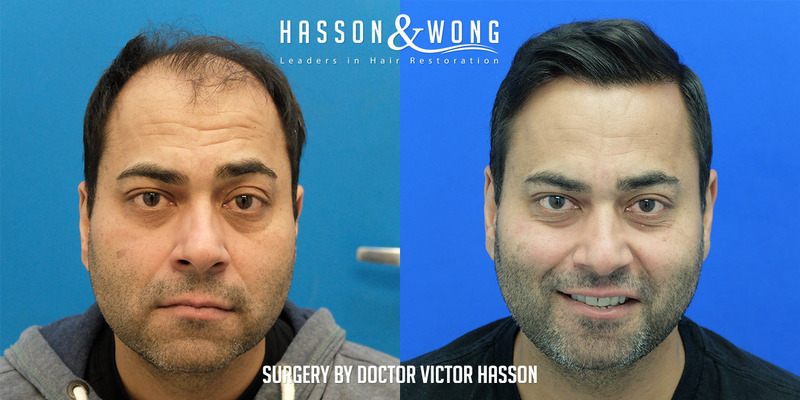 Many of you that have done your research may know Hasson and Wong is popular among Italians and we have long been the clinic of choice for many of these well-informed patients. In addition, this year he will be making a long awaited return to London. Many patients from the UK have been patiently awaiting another visit and this year we have obliged. It has been a while and Dr. Wong is looking forward to the first leg of his trip starting in London. Updated information and exact locations coming soon. 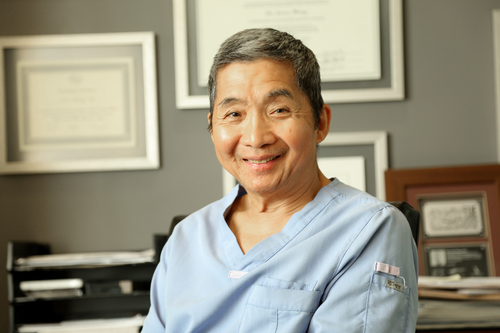 When you meet Dr. Wong at your live hair transplant consultation, here’s what you can expect! A hair transplant cost estimateSessions will typically last up to 15 minutes. We may have a camera set up to take clear photos of your head from several distinct angles and may record video so the doctor can refer to your images if you decide to pursue a hair transplant procedure at our clinic. For London: English ,German, Norwegian, Swedish, Danish and Polish. In order to reserve your spot and ensure you are a candidate that qualifies to see Dr. Wong, we’ll want you to please fill out the form below which will then direct you to upload photos. Don’t use gel or wax the day of your consultation and don’t shave your head/hair at least 2 weeks before your appointment. Having long been recognized as the top hair transplant clinic in the world by many Italians, every year they look forward to Dr. Hasson’s visit to provide them a free, no-obligation hair loss and hair transplant assessment. This July 8*, 9*, 10 and 11, Dr. Hasson will be in the San Paolo area of Rome to see past, present and future patients. Meet Dr. Victor Hasson In Italy! Dr. Hasson will be visiting Italy and performing live hair transplant consultations. Here’s what you can expect! Sessions will typically last up to 20 minutes. We will set up a camera to take clear photos of your head from 12 distinct angles and may record video so the doctor can refer to your images if you decide to pursue hair transplant surgery. You will be provided with a written assessment & recommendation to take home with you. Nearest subway station: Line B – Basilica di San Paolo. Don’t use gel or wax the day of your consultation and don’t shave your hair at least 2 weeks before your appointment. Thank you to all that will be participating in next week’s Italy and Switzerland consultations and making this year’s trip another success. Once again Dr. Wong’s annual European trip to meet prospective patients has sold out, Rome (Oct 8-10) and Lugano (Oct 12-14) are fully booked. However, if you’d still like to try and get in to see Dr. Wong, get in touch with us and we’ll place you on the wait list should any scheduled patients be unable to attend. If we can’t find you a spot this time, we will be in touch soon when we announce a new city in Europe where a Hasson and Wong representative will be available to discuss your case. And as always, you can submit your photos through our online form which the majority of our patients do. We will get you the doctor’s recommendation as to what may be possible. 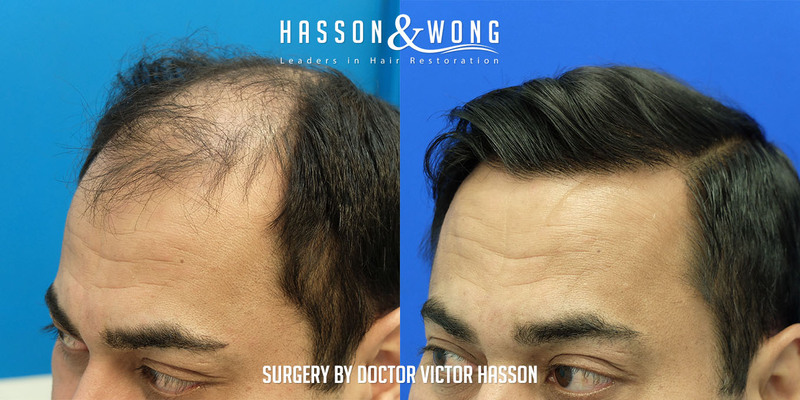 Whether it be in person or online, we can determine whether you are a good candidate for a possible life changing hair restoration procedure at Hasson and Wong. Reserve your spot on the waiting list today, by completing the brief form below! Please note: Italy and Switzerland are fully booked. Please leave your name and contact information below to be entered into a waiting list. 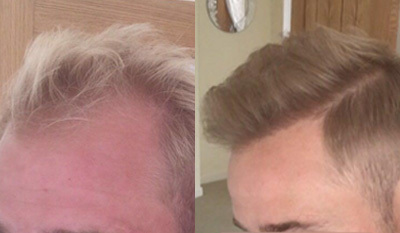 I first noticed my hair loss at the age of 19, I began to notice my hairline receding and thinning a little bit. It knocked my confidence massively and I always felt self-conscious in public. I naturally have very fine blonde hair which has always made it a challenge to cover up my receding thinner areas. As my early 20s went on my hairline got gradually worse and thinner. After trying the numerous different shampoos and products available on the market with no improvement, I started researching the possibility of a hair transplant. After a long process of narrowing down surgeons by reading through websites, forums etc. I couldn’t stop noticing that Hasson and Wong had the best reputation of the lot. By the time I reached 26 years of age I took the plunge and contacted H&W. After speaking to David Anderson who was part of the Hasson and Wong team at the time, I felt confident that deciding to book my surgery with Dr Wong was the perfect choice. I decided to book in September 2015. David suggested that I might need around 2500 grafts by the FUT method of extraction. When I arrived the day before my surgery the staff showed me the excellent clinic facilities. The view in itself was worth the trip over to Vancouver! When I spoke with Dr Wong the day before my surgery he decided that around 2000 grafts would help me achieve the result I wanted. He talked me through the process, what he was going to do, he then drew my new hairline and we talked about my expectations and my hair loss story. He also informed me that after my surgery I should take Finasteride in the form of Proscar cut in quarters taken 3 times a week to help my native hair. Everyone I spoke to at the clinic gave me the feeling I was at the right place. The day of the operation had finally arrived, I had to be there at 6:15am and was taken care of by Carmen one of the hair technicians. She gave me some medication to prevent infections and to help with the anesthetic. Dr Wong arrived around half an hour later to redraw my hair line in preparation, it amazed me how he drew it all by hand exactly the same as the day before, his skills really do live up to his reputation! During the procedure I felt no pain at all and was amazed how comfortable and relaxed I was. After a short while I remember having to turn around and sit in an upright position similar to being in a dentist chair and thinking it was just like going the dentist pain free and stress free watching all my favorite shows on Netflix. We had a few breaks in between and lunch was supplied from an incredible sushi spot nearby, by 1pm around 6 hours later my procedure was complete. I received 1969 grafts in the end; 813 single hair grafts, 1060 doubles and 96 three to four hair grafts. I was sent on my way with a post-op pack which included antibiotics, painkillers and shampoo. The next day I visited the clinic for a checkup where the staff washed my hair and checked over everything to make sure it looked good. The first 8-9 days of recovery were rough. I had pain along the sides of the donor area, which were covered in dark scabs (dried blood) for the first 12 days. I also had moderate pain at the top of my crown. I slept sitting up for the first week, and I babied my scalp 24/7. I had some facial swelling from day 3 to day 5. The implanted hairs began to fall out on day 15. I had shed probably two-thirds of the newly implanted hairs by week 5. I also experienced a good bit of shock loss at the donor site above the ears, but I made sure to keep the hair on the sides longer to make it less conspicuous. The hair in the shock loss area began to regrow around month 4, after which the scar became less noticeable by the week. After the surgery I waited what felt like the longest 3 months before I started to see any progress. By the end of the first month the redness in my scalp started to fade and the numbness in my scalp had started to wear off. I went through a small amount of shock loss of my existing hair (which is common) and the transplanted hair had all but shed, but I was happy knowing the first tough month was out the way. Month 2 and 3 I looked the same as I did pre hair transplant and I was excited to start seeing results but knew I had to be patient. It was not until between month 3 and 4 that I started to feel the excitement that new hairs were sprouting through. Although other people wouldn’t notice, it already felt like a massive step forward. It wasn’t until month 4 and 5 when I really started to feel the hairs grow and thicken as you can see in my pictures. As I got to month 6 I remember speaking to David from the clinic and said I would even be happy if it stopped there. Well, I was wrong to think it was done growing! By month 9 my new hairline was looking great and the most important part for me was that it looked natural. I was told by Dr Wong that the secret of a good hair transplant is one that no one notices. Looking back 18 months later my results at 9 months were great and what I felt was natural at the time, but it took the whole 18 months to bed in and for the transplanted hairs to really soften, feel and grow similar to my own native hair. I cannot put in to words how happy I am with my results! Choosing to go to Hasson and Wong has been the best decision and investment I have ever made, it has given me my confidence back and made me feel so much happier about myself. With the continued and ever-increasing interest overseas in Hasson and Wong, this patient (Rob) expressed his desire to help educate patients and share his story. We are happy to announce he has become our latest Hasson and Wong representative. He is available to see patients in the Manchester, UK area. If you’re able to make it to Manchester and would like to meet with him to discuss a possible hair restoration procedure at our clinic, click the sign up here link below! Meet Dr. Wong In Europe! Dr. Jerry Wong is making his annual trip to Europe and is excited to see some former patients in addition to meeting new ones looking to get his expert opinion on what may be possible in their particular case. Long considered one of the world’s best, most experienced and pioneering hair transplant surgeons, his visits always generate a great deal of interest. 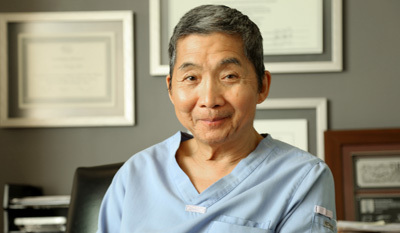 If you’re interested in booking a live, in person consultation with Dr. Wong in Lugano Switzerland or Rome, simply complete the brief form at the bottom of this page. 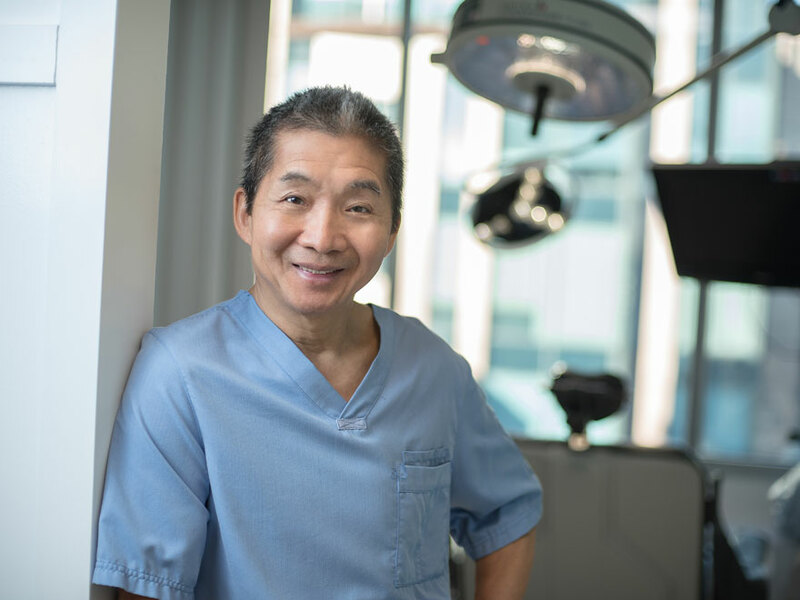 For those patients originally planning to see Dr. Wong in Milan, we will reimburse travel expenses to reach Lugano if you book a procedure with Dr. Wong after the consultation.